House Clearance Service In All Areas Bolton-by-Bowland Chipping Hurst Green Longridge Read Ribchester Slaidburn Whalley Wilpshire. House clearance needed, ideally on Saturday 27th January, in Clitheroe – Ribble Valley Lancashire. 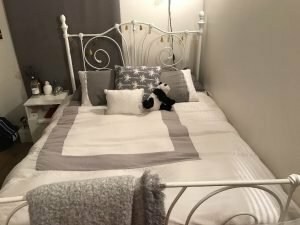 Contents include suite, dining table & chairs, sideboard, white goods, double beds and bunk beds, wardrobes plus contents of garage and small garden store. If you are able to do this, please give me an idea of the cost. I can provide an inventory of the contents if wanted. 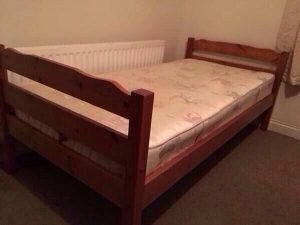 A single solid pine bed frame, together with a floral patterned single mattress. A cream ornate four poster king size bed frame, together with a king size memory foam mattress. 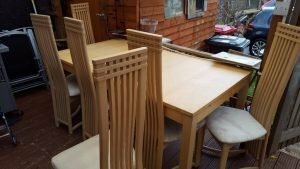 A solid oak rectangular dining table, together with six matching high back dining chairs, upholstered to the seats in cream fabric. 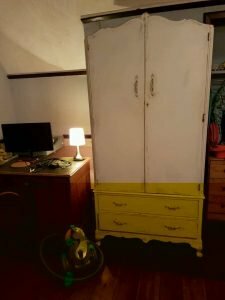 A tall painted white solid wood double wardrobe in the shabby chic style, having two storage drawers to the bottom. 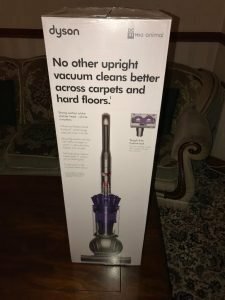 A brand new boxed grey and purple Dyson DC41MK2 Animal upright vacuum cleaner. 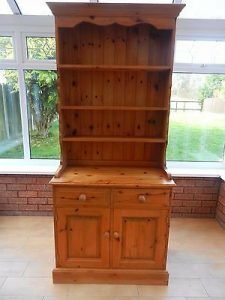 A tall standing solid pine Welsh kitchen dresser, having three plate shelves above two drawers and a double cupboard. 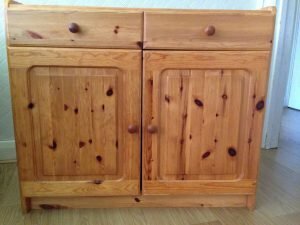 A small solid pine sideboard dresser, having two drawers above a double cupboard. 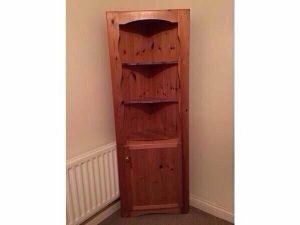 A tall standing solid pine corner unit, having two corner shelves above a cupboard. 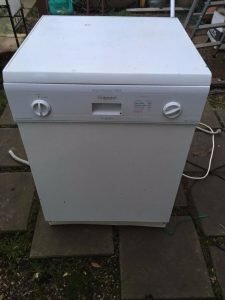 A white Hotpoint Aquarius Ultima De Luxe DF31 full size dishwasher. 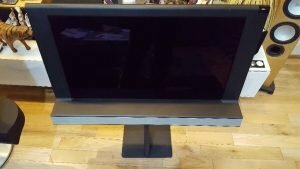 A black Bang & Olufsen Beo Vision 32inch HD flat screen television. 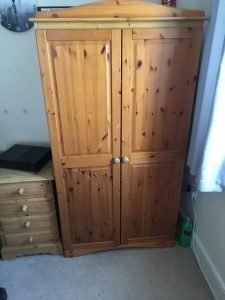 A tall standing solid pine double wardrobe, together with a solid pine chest of four drawers. 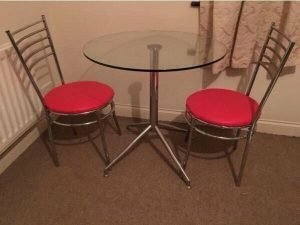 A chrome and glass topped circular dining table, together with two matching ladder back dining chairs, upholstered to the circular seats with red faux leather. 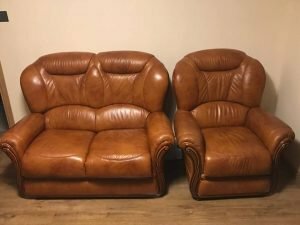 A two seater high back sofa and matching armchairs, upholstered in tan authentic leather. 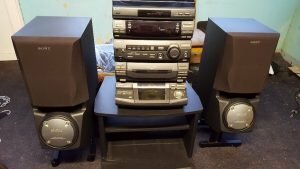 A Sony compact Hi Fi LBTXB60, together with a PS LX56 turntable and SSXB60 speakers. 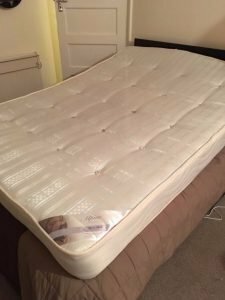 A premium buttoned cream patterned double mattress. 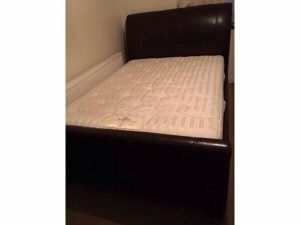 A large kingsize chocolate brown leather upholstered bed frame, together with a king size cream mattress.